In Canada, we wear poppies to commemorate Remembrance Day and to honour our military members- those who have served, those who are serving and especially those who have fallen. Poppies are worn from the last Friday in October until November 11, Remembrance Day. 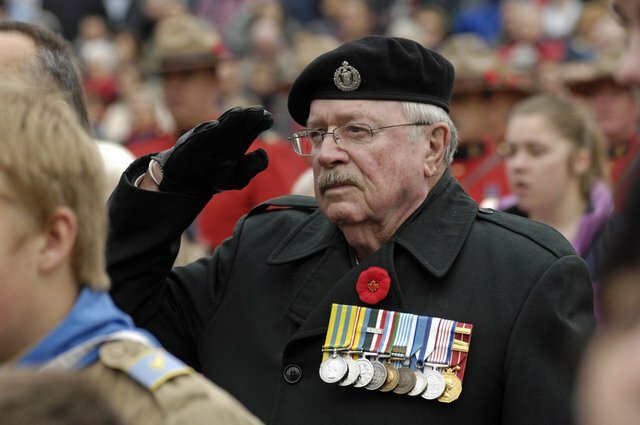 It is actually a sign of disrespect to wear poppy outside of this time frame (with a few exceptions). One of my favourite things is how much Canada honours and respects it's military personnel- with our Highway of Heroes, our poppies and our Remembrance Day ceremonies. A ceremony is held at local cenotaphs, wreaths are laid in honour and remembrance of our soldiers and at the end of the ceremony, people have the opportunity to lay their poppies. 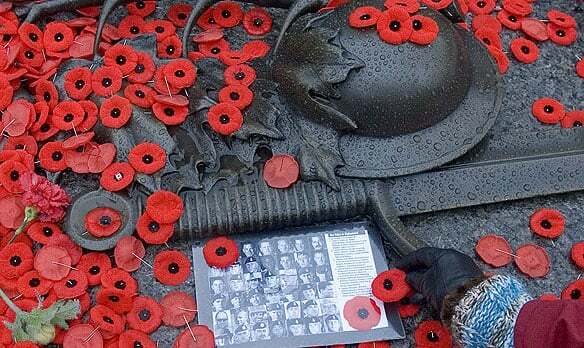 It's in wearing my poppy and at these ceremonies that I am never more proud, or thankful, to be a Canadian. Great post and very inspiring. I'll be wearing my poppy and remembering all the sacrifices this Monday as well.